PRESIDENT-ELECT Emmerson Mnangagwa has ruled out the possibility of an inclusive Government when he appoints his new Cabinet after inauguration expected in the next few days. Mnangagwa is of the view that though a coalition government was not bad, it is not necessary at the moment. In his first interview with British television station, Sky News, after the July 30 polls where he won with 50,8 percent against his closest rival Mr Nelson Chamisa of the MDC-Alliance who got 44, 3 percent of the total votes cast, President Mnangagwa promised to be everyone's President. His ruling Zanu-PF party also got a comfortable two thirds majority in Parliament with 145 seats out of the 210 contested seats. Said Mnangagwa: "In 1964 Harold Wilson of Britain had one seat, beating the Conservatives by one seat and he formed a Government and ruled England and I have two thirds majority and you are talking about me abandoning my two thirds majority to set a Government of National Unity? "Not that it's a bad idea but it doesn't show that there is any need. I am saying politics should now take the back seat because the elections are behind us. We should now put our shoulders to the wheel for purposes of modernising our economy, growing our economy together. Those who have voted against me, those who voted for me, we say Zimbabwe is ours together. "Let's move on. The best argument, the best vision, the best ideas have taken the day." Mnangagwa said the elections were free and fair though the opposition, principally MDC-Alliance, was always making threats of violence even during the campaigning period. "It (election) was free, fair, transparent process from the period of campaigning to the period of actual voting. 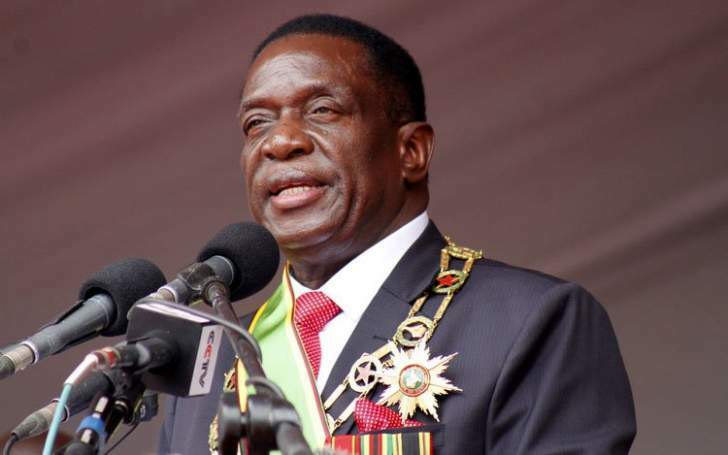 Everybody has declared the process, free, peaceful and transparent," said Mnangagwa. "This single one (MDC-Alliance) which you spoke about was inciting violence even during the time of campaigning although during that time no violence occurred. That is their identity," he said. "Their identity is that of violence." Mnangagwa said he would respect the Constitution on Presidential term limits saying he does not wish to extend his Presidency beyond two terms of five years each provided for by the Constitution. "Perfectly and I always say that I will obey the spirit of the Constitution to the letter. If I am elected for a second term, I will do my second term but I cannot go beyond that," he said. On his relationship with former President Mr Robert Mugabe, Mnangagwa said: "Until recently when he said he did not want to vote for me I didn't think he would reach that stage of not voting for me because there is nothing wrong that I have done to him. But he has his democratic right to choose whom he votes for. I have no problem with former President Mugabe totally. When I phone him and discuss there is no limit, there is no rancour between me and him." Mnangagwa said he does not regret the land reform programme so does the people of Zimbabwe.